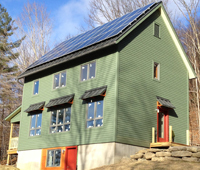 We used 432 kWh, generated 950 kWh and sent 518 kWh back to the grid in July. We are now very close to breaking even for the year. 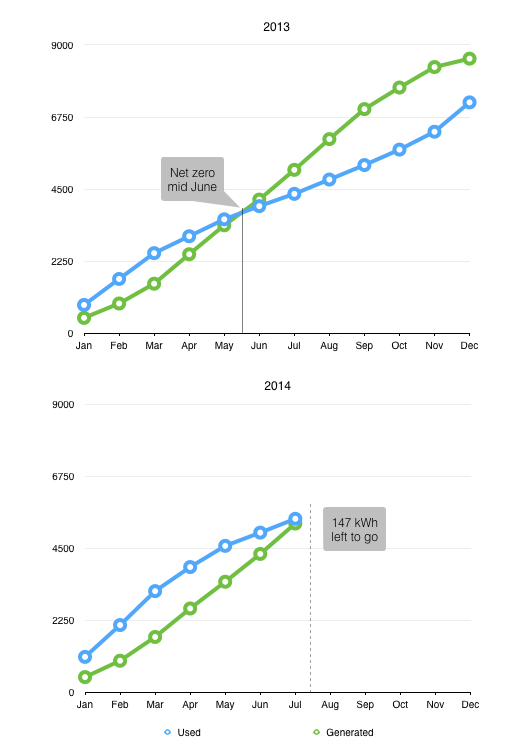 We only need to generate an additional 147 kWh over our usage to net out for the year. That is about 6 or 7 days of good sun. We don’t generally use enough power before the end of the year to tip the scales back in the other direction. We already generated a small excess for our solar year. The electric company tracks our usage from June, the month we installed solar. They credited us just over $30. Not nearly as much as out first solar year, but it’s far better to use the power we generate than sell it back to the power company at wholesale prices.